 Hayley and Jason booked Vision Wave Weddings for their wedding on June 6th 2015. Nick went along to film their day at St Luke’s Church in Cannock and Weston Hall, Stafford. It was a beautiful day!